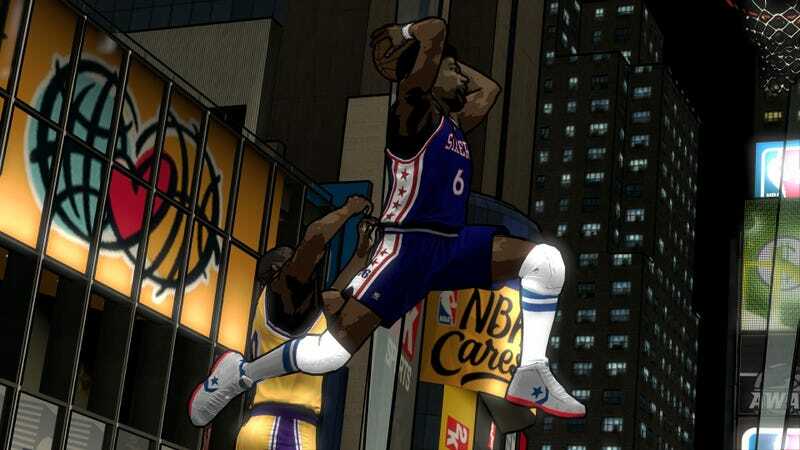 Somewhat lost in the shuffle with Thursday's announcement of NBA 2K12's "Legends Showcase" DLC is the unique visual style the extension will carry. People seem to be fixated so much on the backstory of this and 2K's motivations, and rightly so. This is the first paid post-release DLC extension for a 2K Sports title; it offers online play for a "My Player" created character, a kind of partial replacement for the loss of the "My Crew" feature. And it's also $10. But "Legends Showcase," due out by the holidays, also does something I haven't seen before in a sports simulation title, and that is present its stars in a stylized, cel-shaded presentation suitable for immediate posterizing. I'm going to want to see it in action but, for now, it does make for some great screenshots.